"On the steps of an Indian hospital a woman wailed, 'They have killed Mother India. Why not kill us too?'" The untimely demise of Indira Priyadarshini Gandhi (Hindi: इंदिरा प्रियदर्शिनी गांधी) (1917 – 1984), the fourth Prime Minister of the Republic of India, in the peaceful morning of the 31st of October 1984, shocked both the country and the rest of the world. 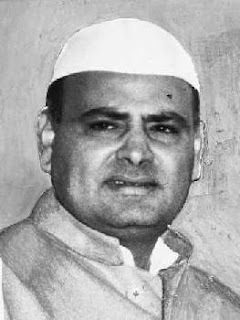 As her son, Rajiv Ratna Gandhi (Hindi: राजीव गांधी) (1944 – 1991), prepared to take up the position of his late mother, condolences poured in from numerous shocked and saddened world leaders from around the globe. Not only did the unexpected circumstances in which her death occurred prove to be a tremendous challenge for her son’s future administration, it also served as the prelude of one of the most severe religious clashes in the history of India – a country in which religious tensions involving all major world religions have frequently smeared its rich history. Indira Gandhi, born Indira Nehru on the 19th of November 1917 in the city of Allahabad (Hindi: इलाहाबाद), Uttar Pradesh (Hindi: उत्तर प्रदेश), was the daughter of the famed Indian nationalist and first Prime Minister of India, Jawaharlal Nehru (Hindi: जवाहरलाल नेहरू) (1889 – 1964). Known to the world as Indira Gandhi or Mrs Gandhi, she is often mistaken to be related to the renowned Indian independence fighter Mahatma Gandhi when, in actual fact, she had no blood relations whatsoever with the great Mahatma. 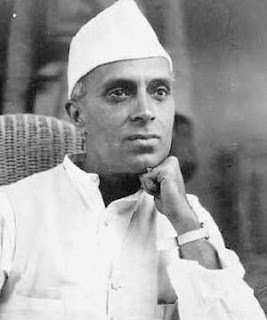 Married to Feroze Gandhi (1912 – 1960) in 1942, she naturally took up her husband’s surname and was thus known as Mrs Gandhi. Amidst factional strife that was plaguing the ruling Indian National Congress at that time, Gandhi was sworn in as the fourth Prime Minister in 1966, and she held the post for two terms before being defeated in the 1977 general election. Nevertheless, she made a comeback after being re-elected in 1980 for another term, in which she held the post until her assassination in 1984. 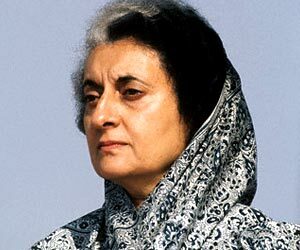 Indira Gandhi’s rule as Prime Minister of India was coloured with various great achievements and numerous controversies. While some revered her as a capable woman leader who was able to revolutionize India, reduce poverty and increase literacy rates, others perceived her as a tyrant bent on stabilizing her grasp of power, surrounding herself with loyalists and establishing her own dynastic rule. In fact, former President of the United States of America Richard Nixon (1913 – 1994) showed a general resentment for Gandhi, referring to her as “the old witch” and “clever fox.” Of course, Gandhi herself, in return, also showed her disliking for Nixon, consequently affecting bilateral relations between India and the United States at that time. Despite her progressive but often controversial stint in power, Gandhi’s death at the hands of her assassin bodyguards shocked the whole world and shook the foundations of the Indian nation. Her assassination drew mixed reactions from different parties, with many outraged over the death of the compassionate and soft-spoken Indira-amma and also not a few who rejoiced over the elimination of a cool tyrant insensitive to the feelings of others. Before we come to the details of the last moments of her life, let us first review the facts that led to the fateful day of her assassination. 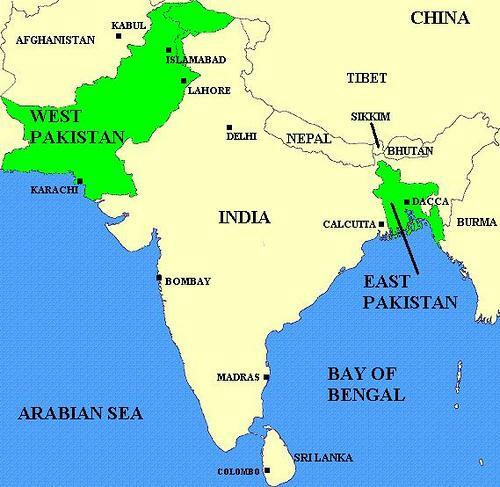 It should be understood that during the 1947 Partition of India (Hindi: भारत का विभाजन, Bhārat ka vibhajan), West Pakistan (present-day Pakistan) and East Pakistan (present-day Bangladesh) were carved out of India and became sovereign states. The Partition was done on the basis that the Muslim-majority regions of East and West Pakistan were to be separated from the rest of Hindu-majority India. With regards to the Greater Punjab region, the region was, before the Partition, governed as a single entity under the British colonialists. Nonetheless, the Partition resulted in the region being parted into two, with 60% of Greater Punjab falling under Pakistani governance and 40% coming under Indian jurisdiction. 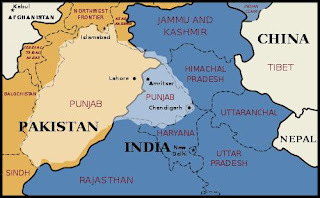 As the Partition was done predominantly on religious grounds, Sikhs were grouped together with Hindus for purposes of territorial division between Muslim Pakistan and Hindu India. The Khalistan movement, which developed since then but gained more momentum in the 1970s and 1980s, sought to establish a Sikh homeland separate from Muslim Pakistan and Hindu India. The proposed sovereign state of Khalistan (Hindi: ख़ालिस्तान; Punjabi: ਖ਼ਾਲਿਸਤਾਨ), which basically means “The Land of the Pure” in Punjabi, is envisaged to include all areas with a majority of Punjabi-speaking communities throughout Greater Punjab. Being outlawed by the Government of India, the proponents of the Khalistan movement eventually resorted to taking up arms against the government in order to fight for their cause. 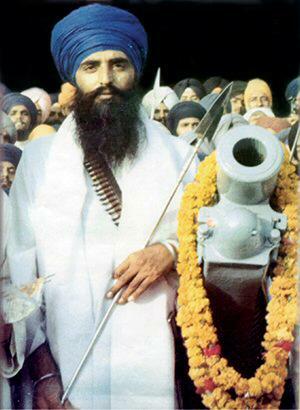 Perhaps the most prominent Sikh figure in relation to the Khalistan movement in the 1980s was none other than Jarnail Singh Bhindrawale (Punjabi: ਜਰਨੈਲ ਸਿੰਘ ਭਿੰਡਰਾਂਵਾਲੇ) (1947 – 1984), a popular Sikh missionary and religious leader highly regarded even up to this day. 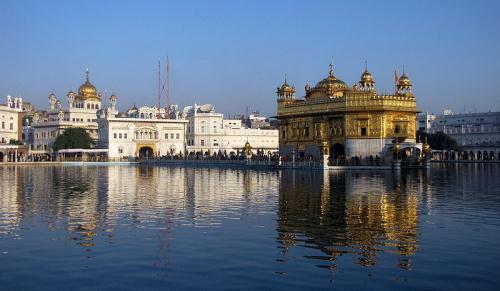 Since April 1980, Bhindrawale had effectively taken up residence in the Harmandir Sahib (Punjabi: ਹਰਿਮੰਦਰ ਸਾਹਿਬ), more popularly known as the Golden Temple, in the sacred Sikh city of Amritsar (Punjabi: ਅੰਮ੍ਰਿਤਸਰ). 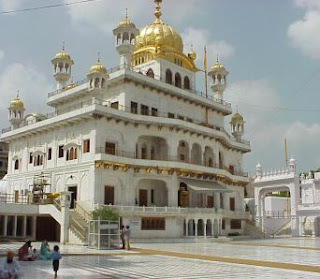 Nonetheless, before December 15, 1983, Bhindrawale’s residence and base of operations was located in a different building within the compound of the Golden Temple. It was not until the aforementioned date that Bhindrawale and his supporters moved into the Akal Takht (Punjabi: ਅਕਾਲ ਤਖ਼ਤ), which is another complex within the compound of the Golden Temple and is believed to be one of the holiest sites in Sikhism. With Bhindrawale now making the Akal Takht his base of operations, Sikh militia followed suit in moving in as well, amassing huge amounts of artillery in preparation for a possible confrontation against the Indian government. Indira Gandhi, aware that the Sikh militia was gathering in larger numbers, amassing more weapons and growing stronger by the day in the Akal Takht complex of the Golden Temple, ordered the Indian Army to draft out plans for an attack on the Golden Temple to wipe out the militants. This decision met with much controversy even within the Indian Army, since the Golden Temple is revered as the holiest shrine in the Sikh religion. Some top-ranking army officials questioned the wisdom behind the seemingly insensitive decision, but Gandhi remained adamant with it and refused to adopt any other alternative solutions, insisting that there were, indeed, no other viable alternatives. As a result, plans for the assault were drafted out by General Arun Shridhar Vaidya (1926 – 1986), the Chief of the Indian Army, while General Krishnaswamy Sundarrajan @ Sundarji and Major General Kuldip Singh Brar were appointed commanders of the operation. The 3rd of June 1984 saw the commencement of the infamous Operation Blue Star, beginning with a 36-hour curfew imposed on the entire state of Punjab. The curfew also included temporary termination of electricity supply as well as all modes of transportation and communication, thus effectively cutting off the state from the rest of the world. With the Indian Army acting under the on-site command of Major General Kuldip Singh Brar, the army invaded the Golden Temple on the night of June 5 and seized full control of the temple from the Sikh militia by the morning of June 7. Indeed, the Indian government under Prime Minister Indira Gandhi considered Operation Blue Star a military success, since the operation succeeded in eliminating many Sikh militants, including its top two commanders, Jarnail Singh Bhindrawale and former Major General Shabeg Singh (1925 – 1984). Official death tolls released by the government stated that there were 83 casualties from the Indian Army and 492 civilian casualties, although independent sources put a higher estimate of approximately 1500 casualties in the incident. 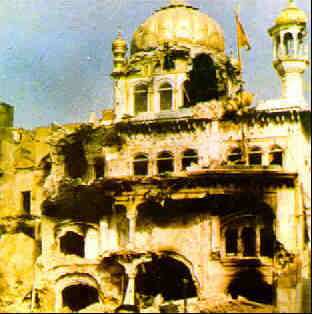 No doubt, the death of many innocent, unarmed and helpless Sikhs, coupled with the fact that the holy Akal Takht building was badly damaged during the operation, brought about a surge of utter rage across many Sikh communities throughout India. Many Sikhs perceived this incident as a heartless massacre conducted against their people and a downright assault on their faith. 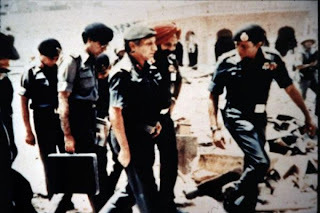 In the days that followed after Operation Blue Star, the Indian government saw a huge series of resignations handed in by numerous Sikh officials, whereas the Indian Army experienced episodes of mutiny from Sikh soldiers. Coincidentally, during the time when Operation Blue Star was carried out, Zail Singh (Punjabi: ਜ਼ੈਲ ਸਿੰਘ) (1916 – 1994), a Sikh by religion, was the President of the Republic of India. In the aftermath of Operation Blue Star, President Zail Singh was severely criticized for being silent on the matter and not taking any proactive action to stop the operation from being executed. Indeed, Gandhi had kept Zail Singh in the dark about her plans in handling the Sikh militants, and he only got to know about it after the operation was carried out. Nonetheless, his role as President of India was also largely ceremonial, with real powers vested in the hands of the Prime Minister. Regardless, there were numerous calls for him to step down, but he decided to retain his position after being advised by prominent Sikh leader Harbhajan Singh Khalsa Yogiji @ Yogi Bhajan (1929 – 2004) that the President’s resignation would only be to the detriment of Sikhs across the country. 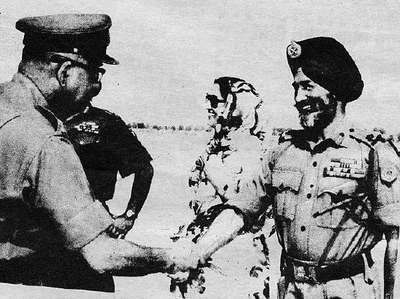 In the aftermath of the operation, many newspapers also cynically dubbed Operation Blue Star “the greatest victory of Mrs Gandhi,” calling it “a victory even greater than India’s victory in the Indo-Pakistani War of 1971.” Doubtless to say, regardless of how great this victory really was in the eyes of Indira Gandhi, this incident was definitely the prelude to her downfall five months later, as Sikh anger gradually stirred up against her until it could no longer be contained. So, what exactly happened five months later? 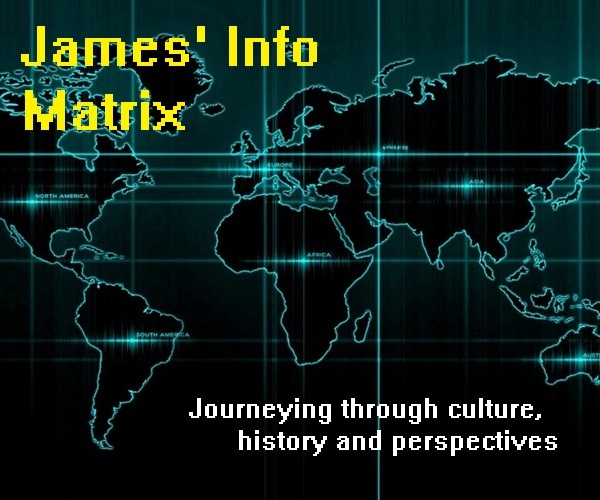 Do proceed to the next part of this article if you’d like to read more.